Saturday is Kathmandu’s Sunday. 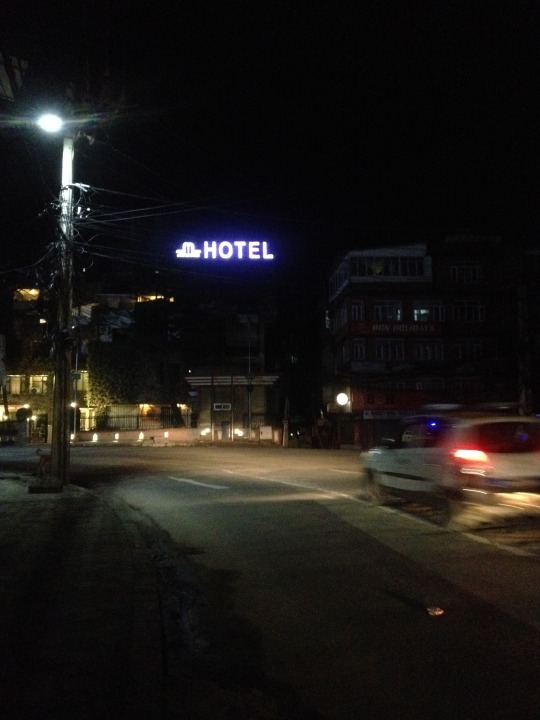 Tonight the ‘lounges’ of the city are a hive of young Nepalis who prefer calling it K-Town. Traffic is a trickle at 10 PM, but the ‘lounges’ have only warmed up, with music and lights. One hears them on the streets. The music is a mix of bollywood and English pop charts. For a look at what the city wears, speaks, uses, and talks about, heading to one of these lounges is worth all the late night hours. Take a head-full of the atmosphere inside, and when it brims up, walk on its deserted roads. In that combo, it may work well for the not-so-seasoned pub crawler. Some can be spotted doing that anyway. At the Sky Lounge tonight, the couches lie ignored. They are abandoned with fervor as the hours slip. It is the dance floor where one finds it difficult to step on. Sky Lounge’s patrons prefer their drinks, conversations and all manners of catching up, under revolving strobes and laser lights. There is hukka for which one steps down, and resumes quickly. The energy and pace of things in Sky Lounge isn’t with the visitors. They have handed it over. Willingly! To DJ Dai – the man on mixer who would chariot this night. It is to his beats, that the men and women respond, in their personal styles. His is the most important job tonight. If he lets the patrons down, lounge’s facebook wall will be overun with comments about DJ Dai’s incompetence. The lounges must upload photos of the evenings and of the faces from the evenings. In the weekdays, these will be assessed by the network, lounge goers and fans. Popularity of K-Town’s lounges live and die on facebook walls. It is the digital life that matters, after a good dance. To go by the look of the streets is to underestimate the city’s night life. Like a good mountain feature, nightlife in this valley is unfolding within. K-Town doesn’t believe in putting up attractive facdes. It prefers a throbbing inside life instead They mislead only the first timers. The rest know that the roads lead to staircases which stop at the doors of these lounges on Hathisar Road and Darbar Marg. It is here that K-Town is, on weekends.